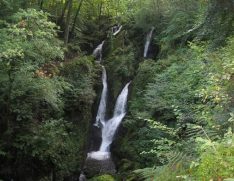 Located in the beautiful Lake District we are lucky to be surrounded by a number of breath-taking waterfalls such as Stockghyll Force. A short and sweet walk from the heart of Ambleside. The waterfall is known as a hidden gem where it is invisible on a map but easy to find if you know the way. 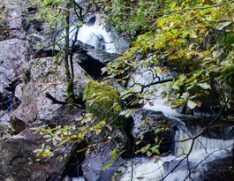 The stream that starts the walk can be found next door to Cunningham’s outdoor shop located in Ambleside. Stockghyll force flows into the River Rothay which drains eventually into Windermere. Windermere has a heavenly industrialised past and used to be nicknamed Rattle Rhyll. Many of the old mill buildings can still be seen in Ambleside with some of them now seen as local shops. The old mill buildings used to produce bobbins for silk and cotton thread in the process of making wool. To find the falls can be difficult to find although a friendly local will be more than happy to point you in the right direction. 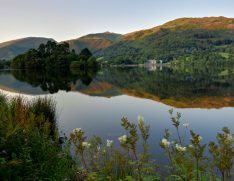 Located in the bustling village of Grasmere we are surrounded by a number of walks for you to explore. 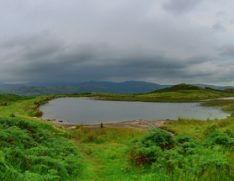 On this walk come across some stunning views and landmarks of Grasmere and Rydal water. The walk takes you on The Coffin Route which was the route taken to carry the dead to St Oswald’s church in Grasmere. Grasmere is one of the most popular villages in the lakes and is home to lake poet William Wordsworth. Rydal water is one of the smallest lakes in the Lake District but makes up for it with its connections to lake poet William Wordsworth. Steps leading up to the lake come across ‘Wordsworth’s seat’ a favourite viewpoint of Wordsworths. 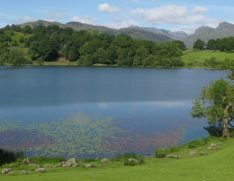 The lake is tightly enclosed between the steep slopes of Loughrigg Fell and the Fairfield Forceshoe. Have a couple of hours spare or want to make the most of the weather, why not take a walk to Silver How. Starting from Grasmere village the walk passes by Allan Bank, the temporary home of poet William Wordsworth and his family. 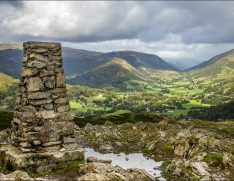 On route climb through towering juniper bushes and cross a high plateau taking in the stunning views of The Langdale Pikes, Bow Fell and the Band, Pike of Bisco, and Helm Crag. Bow Fell is one of the popular fells which features a circular route via the Band. Pike of Bisco lies between the summit of Wrynose Pass and the Oxendale branch of Great Langdale. The northwest end of the summit once had a large cairn but now a much smaller cairn stands in its place. 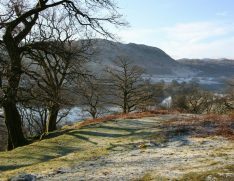 Take in the stunning views of Rydal Water and Grasmere with a walk along the coffin route. The coffin route is a short walk that circles Grasmere and Rydal water. 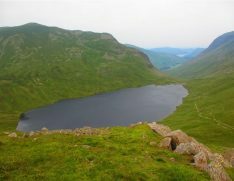 Taking you high above the fells the walk encounters lovely views of Rydal water and Grasmere. Rydal water is one of the smallest lakes in the Lake District but is very popular with visitors and locals due to its’s Wordsworth connections. Steps leading up to the western end of the lake come across ‘Wordsworth’s seat’ a viewpoint favoured by the poet. Walking around Rydal water you will come across Dove Cottage and Rydal Mount, both homes to William Wordsworth. 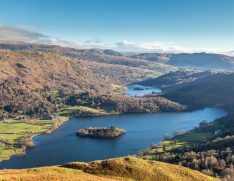 Grasmere is one of Cumbria’s most popular villages with gift shops, places to eat, and places to stay. The village is known for its connections to lake poet William Wordswortrh who lived in the village with his sister Dorothy for nine years. The walk gets it’s title as it was the route used to convey coffins on their final journey to St. Oswald’s Church in Grasmere. The route these days is a little livelier with pleasant views along the way.